Determine which online marketing campaigns are driving revenue and which campaigns need significant work. 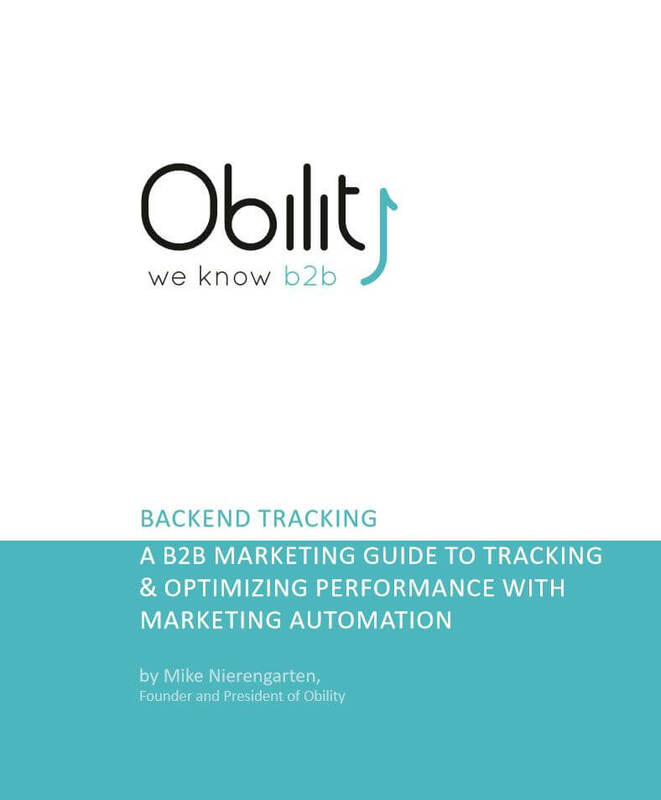 Obility’s B2B Marketing Guide to Online Marketing with Marketing Automation delves into how to track every aspect of a marketing campaign in marketing automation platforms. The guide also outlines reports that will help you improve your marketing campaigns. Download your free copy of B2B Marketing Guide to Online Marketing with Marketing Automation today!